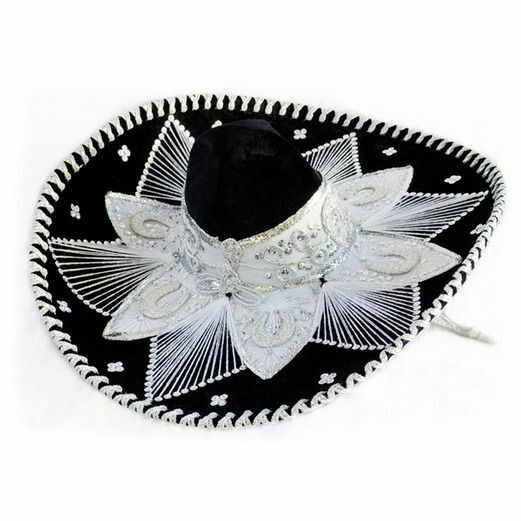 Our deluxe velvet Black and White Mariachi Sombrero is a fun way to add some spice to your Fiesta party or Cinco de Mayo celebration. Also known in Spanish as a Charro sombrero, this hat is adult sized and can be used as a costume accessory or party table centerpiece. It is also a great decoration to hang on a door or a wall.